I haven’t been making much time to write up recipes and posts, but I have been cooking up a storm. 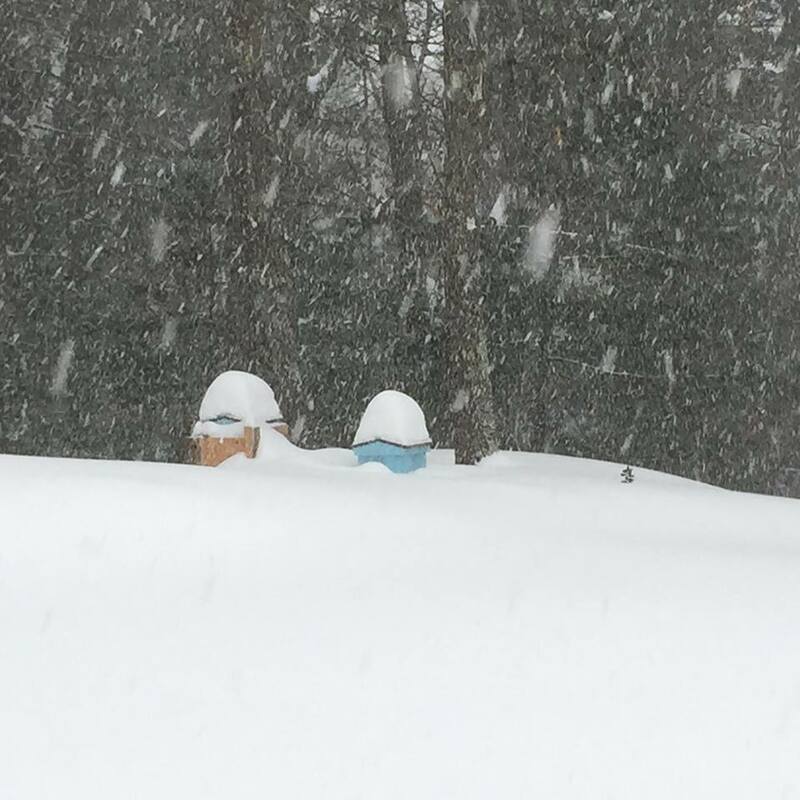 We’ve had over 100″ (yes, that’s right) of snow here and on snowy days all I want to do is hole up in my house and cook! I’ll be posting some new recipes soon. I’ve been driving. My commute from the burbs to the city is now 2 hours in and 1.5 hours out. After working a full work-week I’m too tired to write long posts. Essentially, I’m “working” 60 hours a week. sigh. I’ve been shoveling and maintaining paths to our chicken coop and front door. The plow guy can only do so much. The walkways and front porch is our job and for a month it was quite a job. 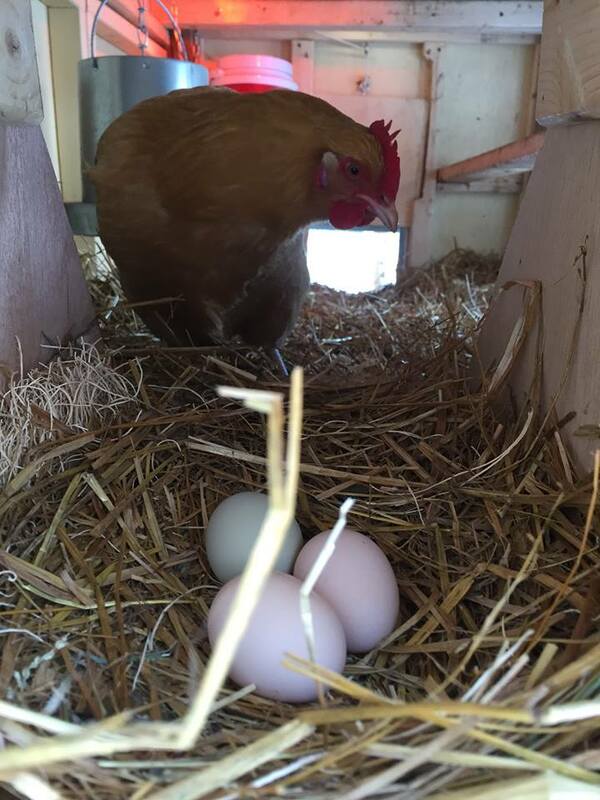 On a positive note, the chickens have been consistently laying eggs all winter! I wasn’t expecting that at all. The eggs are such a gift. My girls turn a year old on April 9th and I plan to give them some special treats from us on that day. They love strawberries, tomatoes, oatmeal, and cabbage. Maybe a special salad? Shoveling out the beehives hasn’t been fun either. Walking to the hives in four foot deep snow isn’t easy, but the hives are dug out and on a warm day the girls can take some cleansing flights easily enough. I’ve been making bone broth every weekend to sip during the week. Bone broth is easy, rich in protein, minerals, soothing to the gut, and great for the skin. We sip it in place of tea. If you have GERD, Leaky Gut, or an upset tummy drink bone broth every day. You can make it from slow cooking or using a pressure cooker. I roast a chicken or brown some beef bones and then put them in the pot with water, an onion, a few carrots, celery, and a garlic clove or two. If you use a slow cooker or stove-top you can plan to let it simmer for 12-24 hours. In a pressure cooker it will be ready in 1-2 hours. The longer you cook the bones the more minerals you will pull from the bones. Adding a tablespoon of raw apple cider vinegar will help leach the minerals quicker, too. I’ve been planning out a French potager garden. 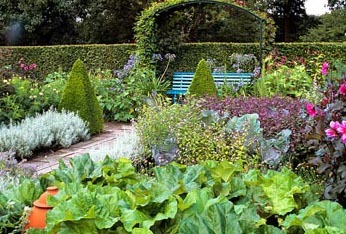 I want to expand our perennial beds to include more vegetables, interspersing them with the perennial flowering plants is a great way to create an edible garden. It will be beautiful and practical. I’ve been reading and studying nature religions, specifically the Cabot Tradition of Witchcraft. I am honored to have studied under Laurie Cabot, the Official Witch of Salem and I look forward to deepening my studies in the future. You can learn more about it here: www. lauriecabot.com. Well, that’s all for now! The bone broth needs straining and containing. 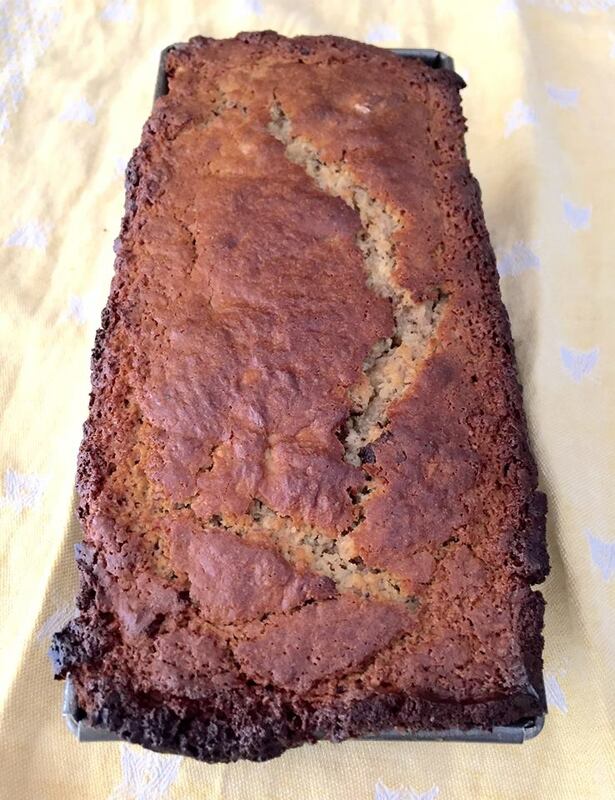 The banana bread must come out of the oven, and the fire stoked. I know spring is coming, but for now it’s still winter. Make your own tea. 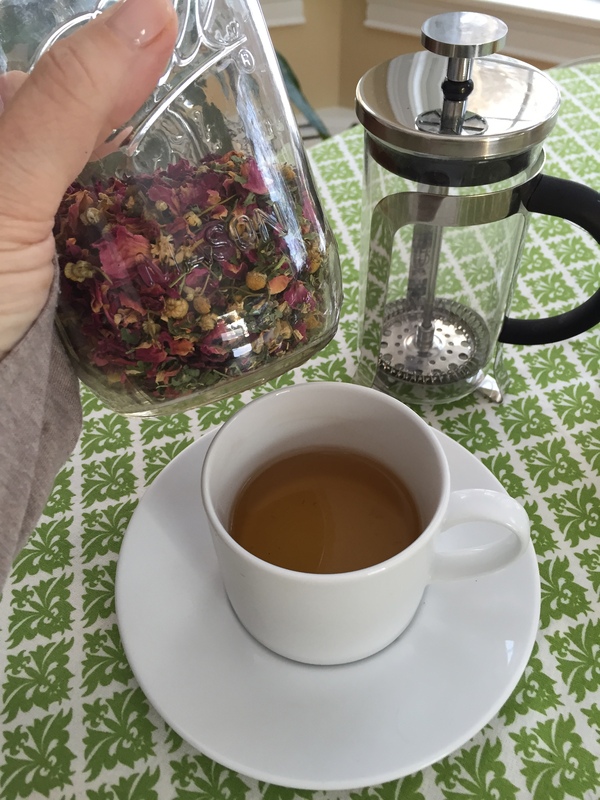 I mix equal parts organic chamomile flowers, organic rose petals, and organic lemon balm. 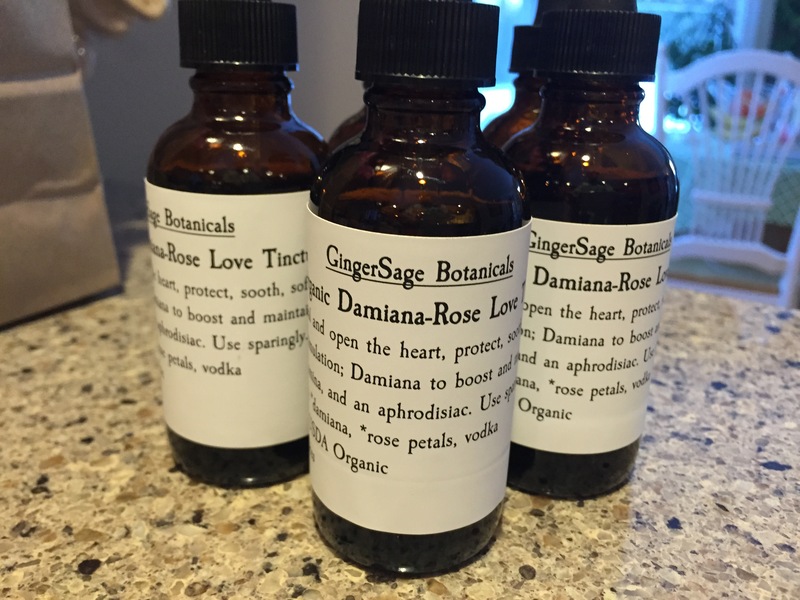 This blend is fragrant and helps ease stress and anxiety. Sip during the day and before bed to help you sleep well. Combine the herbs in equal parts in a sealed jar and store out of sunlight. To make a cup, use one rounded teaspoon for 8 ounces of water. Steep for 3-5 minutes. Strain and add sweetener of choice, preferably raw, local honey.